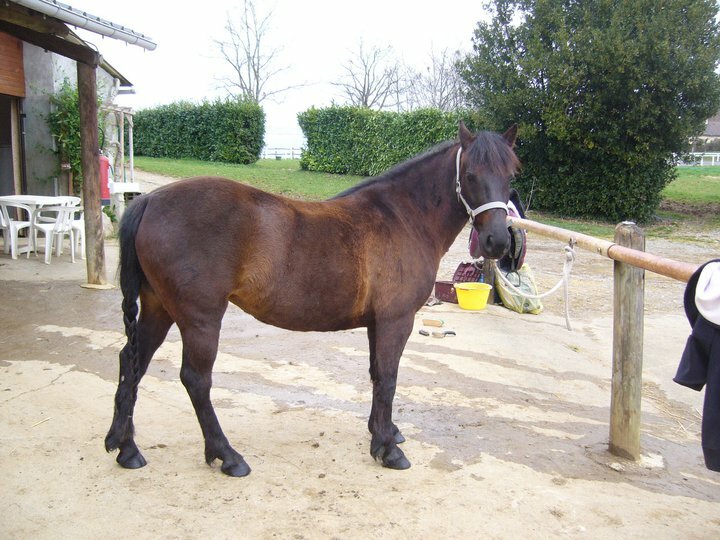 The Landais Pony is a small-statured equine breed originating in Landes, located in the Southwestern part of France. 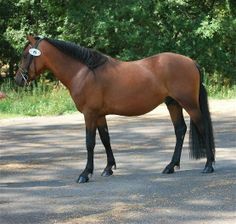 Besides their driving and riding ability, they have gained more popularity because of their remarkable trotting speed. 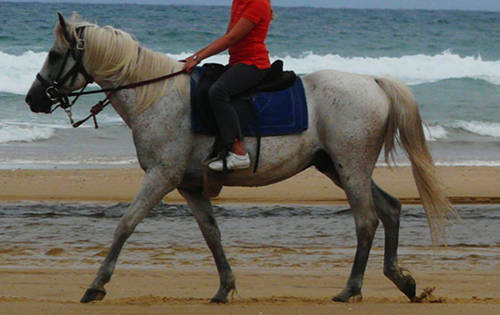 The Landais Pony seems to be of an ancient origin, probably deriving its roots from foreign equine breeds including the English and Arabian horses. The breed may have descended from the horses depicted in the Lascaux cave paintings. 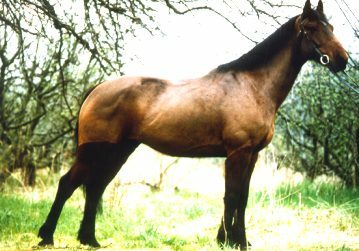 The Arabian influence upon these horses occurred initially during the Battle of Poitiers (8th century) and later in the beginning part of the 1900s. Many of these horses dwelt in the marshes and forests of Landais in the feral form. However, when the while clearing the swamps for harvesting, this breed was shifted to the coastal wetlands, often being hunted by those who would protect the sand dunes from the foraging of ponies. Though they had a somewhat stable population till the middle of the twentieth century, their numbers during the Second World War went down. 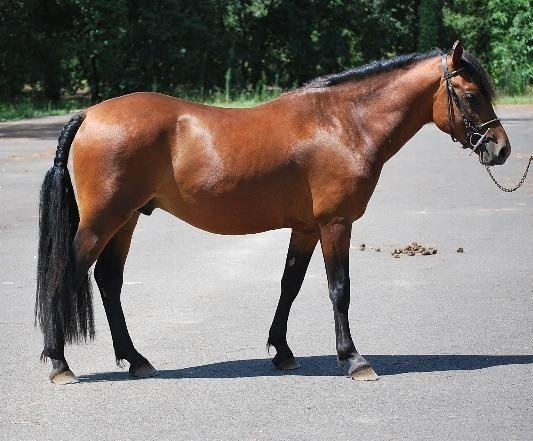 Some ponies of this breed settled along the river banks of Luy and Adour along with other livestock and wild animals. 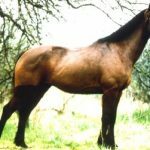 After the war had ended, crossbreeding of the Landais with other heavy horses occurred to acquire a more robust stature; however, this resulted in a reduction of the purebred Landais Ponies. 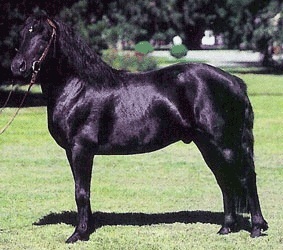 Stallions of the Welsh Section B and Arab horses were introduced for the purpose of rebuilding the original horses. 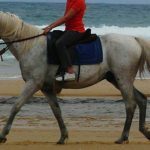 A genetic study conducted in 2008, showed that the Landais Pony, as well as four other horse, breeds needed to be conserved by the authorities of France. 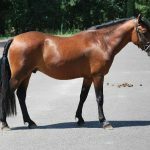 This breed has its contribution in creating the French Saddle Pony along with other animals like the French and English breeds as well as the Arabian horse. In the year 2010, most of this breed dwelt in Pau, while some of them existed in Landais too. 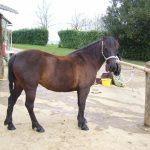 The Barthais Pony, a heavier and taller breed, was included in the Landais breed as there was only a small number of it left after the war. 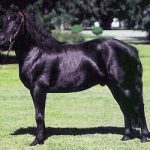 Another breed, named Poney des Pin was also included with the Barthais, though it faded away in the 50s. 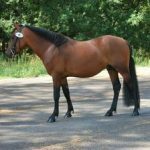 One of the horses with this breed is credited of holding the record for high speed in covering a distance of 100 km from Paris to Chartres.